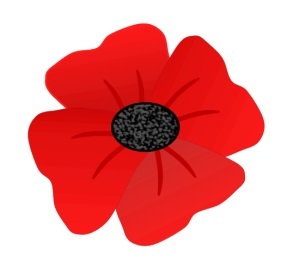 This coming week we observe Remembrance Day. A time for reflection and gratitude for the freedoms we enjoy. We honour those who have made the ultimate sacrifice in defence of that freedom. In our busy daily lives, it is all too easy to take for granted and forget at what price this freedom we enjoy has been achieved. With so much to enjoy and, certainly in this part of Canada, so much beauty all around us, we are fortunate that sometimes the biggest thing we have to worry about is which coffee shop we are going to get our latte from this morning. This month, take a moment to pause and try to imagine a different life. One where you cannot dress how you like, express your thoughts or feelings, have a say in who governs your country. A life where you are unable to travel freely, inside or outside your country, or where speaking with the “wrong” person can cost you dearly. A life where an education would be a dream come true. Take that moment to remember those who, over the decades and various conflicts, wanted to make sure that you and your family were able to enjoy all those personal liberties, and have the freedom to go and get that latte.